I have just received the following statement from a source linked to the on-the-run Pheu Thai Party leader, Charupong Ruangsuwan. 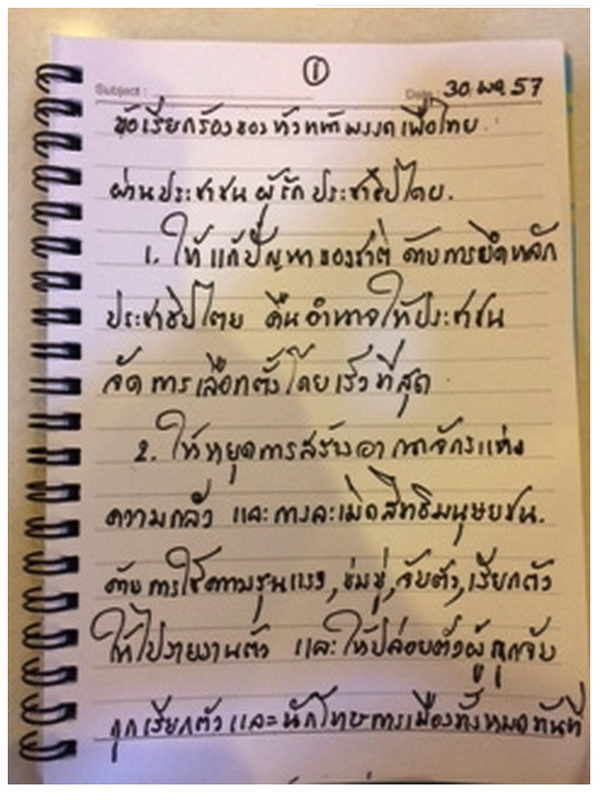 It makes a list of demands regarding the present crisis in Thailand. 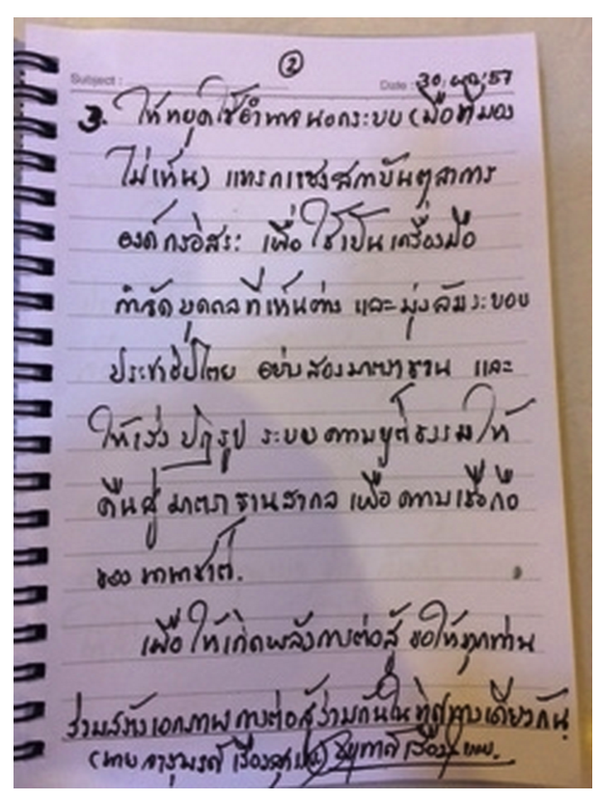 I received both an English translation and a hand-written version in Thai (see screengrabs below) which is signed by Charupong - the signature matches that of an earlier released document on Charupong's Facebook page. The statement is very combative and seems to make it clear that some form of organised resistance to the Thai junta is now gathering itself together. 1) Resolve Thailand’s crisis with democratic principles. Return power to the people. Hold an election at the soonest. 2) Stop “The Kingdom of Fear” and all the human-right abuses of using violence, making threats, abducting and kidnapping, forcing to report. Arrested and detained people must be released immediately. 3) Stop “The Invisible Hand” (the influence outside the systems) and the interference of judiciary independent powers to rid Thailand of opposing / different ideas and to destroy Thailand’s democracy with the notion of double standards. Accelerate the restoration of the judiciary system to international standard for Thailand to be believed again. For the power to fight back, unite our forces to the same direction.